TSP Legal > News > General News > Is Your Property Registered at the Land Registry? During the last 90 years, the Land Registry has been compiling a central register of property and land in England and Wales. It is now compulsory to register with the Land Registry any sale, purchase, deed of gift, mortgage, new lease or assent (which is a transfer following the death of the legal owner). Compulsory registration has been phased in gradually in different areas over the last 30 years or so. Therefore, if you purchased your property or land before 1986, it is likely that the title to your property is unregistered. This means a record of your ownership is not held centrally at the Land Registry. How can I find out if my property is registered at the Land Registry? You can find out if your property is registered or not by searching the Land Registry website here. If you know the full address of the property you can submit a “detailed enquiry”. 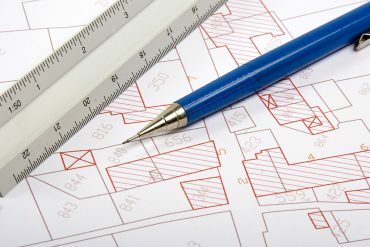 If you don’t you can submit a “map enquiry” – this type of enquiry will also reveal details of neighbouring properties. If you find that your property is not registered you can apply to the Land Registry for what is called voluntary first registration. The Land Registry charges a fee for this which is based upon the approximate value of the property (as noted on their website) – there is no need for a professional valuation – they are currently offering a 25% discount on their usual fees for voluntary registrations. If you wish to register your property voluntarily, you will need to provide the complete pack of unregistered deeds and documents, which, until first registration is complete, is your proof of ownership of the property. Your deeds may be held by a solicitor, a mortgage lender or by you, at home, or perhaps lodged at your bank. Your conveyancing lawyer will check the chain of ownership of the property in order to prepare for first registration and will submit the application to the Land Registry on your behalf. Once registration is complete you will be provided with a copy of the “Title Information Document” and “Official Copy Entries”. Unfortunately, title deeds are sometimes mislaid or destroyed. If this happens and your property is unregistered, you will need to apply to the Land Registry for registration of title based on a Statement of Truth as to where and how the title deeds were destroyed, or as to the circumstances in which they were lost. The registration process in these circumstances is more complicated. You can find out more about how the process works in these circumstances here.